The release of the spirit from sin, unto God, from your earthly desires, from the influence of the senses, from the desire to be teacher, from the feeling of possession, from the influence of the self. Meditations and Poems for HH.... Since that blessed day, the Coptic Orthodox Church has witnessed a remarkable revival through the guidance of the Holy Spirit and the pastoral care of H. H. Pope Shenouda III. H. H. conducts a weekly meeting, which is attended by over seven thousand of the faithful at the Cathedral of St. Mark in Cairo. Father Matta El Meskeen or Matthew the Poor, born Youssef Iskandar (20 September 1919 � 8 June 2006) was an Egyptian Coptic Orthodox monk. He was the key figure in the revival of Egyptian monasticism which began in 1969 when he was appointed to the Monastery of St Macarius in the Wadi El Natrun in Egypt .... saint Stephanos, the first deacon, who was "full of the Holy Spirit and wisdom" and "full of faith" (Acts 6: 3,5), that "all who sat in the council, looking steadfastly at him, saw his face as the face of anangel"
The Release of the Spirit - Ebook written by H.H. Pope Shenouda III. Read this book using Google Play Books app on your PC, android, iOS devices. Download for offline reading, highlight, bookmark or take notes while you read The Release of the Spirit. make him desire you pdf free download Also, Jehovah Witnesses also speak of the Father, the Son, and the Holy Spirit, but deny the Holy Trinity saying that the Son was created and less than the Father and that the Holy Spirit is not a Person at all, but rather a force or power. 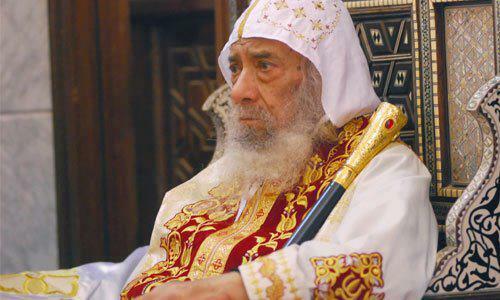 March 17, 2012 is the day of Heavenly Departure of His Holiness Pope Shenouda III, the 117th Pope of Alexandria and Patriarch of the See of St. Mark. �As the deer pants for the water brooks, so pants my soul for You, O God. St. George and St. Rueiss Coptic Orthodox Church Toronto, Ontario, Canada ????? ?????? ??????? ??????? ?????? ???? - ??????? - ???????? - ???? Father Matta El Meskeen or Matthew the Poor, born Youssef Iskandar (20 September 1919 � 8 June 2006) was an Egyptian Coptic Orthodox monk. He was the key figure in the revival of Egyptian monasticism which began in 1969 when he was appointed to the Monastery of St Macarius in the Wadi El Natrun in Egypt .